Every season is patio time at Candlewood North. So get to the grills and enjoy festive times at our Northridge, CA apartments. 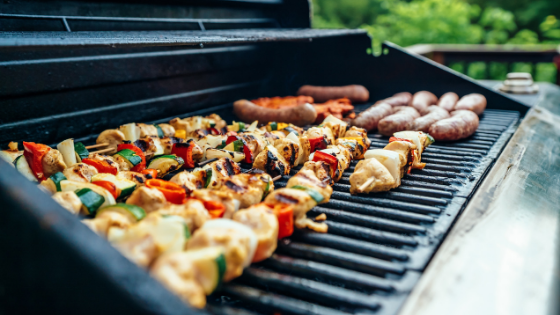 If you're on a health and fitness mission, you might wonder what you'll do at the barbecue. Worry not! Grilling vegetables and even fruits is very much a thing. Grilled pineapples and barbecue sauce are amazing! Right now, sweet potatoes are in season. So, here is a recipe to inspire cooking with local harvests and to help you into the California patio mindset. This luscious sweet potato dish is high in potassium and fiber and a natural source of vitamins A and C. It takes all of ten minutes to prepare and is ready to grill while you enjoy refreshments and conversation. Cut the sweet potatoes into cubes, about 1 inch square, then cut again into 1/2-inch cubes. Preheat the patio grill to medium-high level. Divide your potato cubes into four foil boats and divide up the avocado oil to top them off. Sprinkle the brown sugar, cumin, the two kinds of pepper and the salt over the cubes as well. Fold up the corners of the foil boats to form closed pouches for the barbecue grill. Place on the preheated barbecue grill. Cook, moving the pouches every few minutes, to cook the cubes evenly. Continue the grilling up to 30 minutes, until the potato cubes become tender and thoroughly cooked. For a health-conscious and hearty accompaniment, why not try a farro salad? Farro is a high-protein dish. It's fantastic when cooked and mixed with diced artichoke and red pepper, sliced olives, and a light oil and vinegar dressing. When enjoying good times on the patio at our beautiful Northridge, CA apartments, invite your friends to enjoy the patio. As a matter of fact, we hope they come home to the Candlewood North Apartments. Call (866) 796-2183 or get in touch online if we can offer a tour!